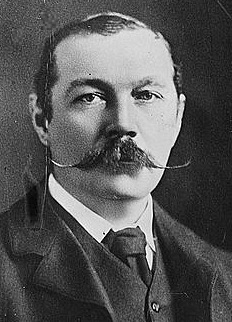 The BBC Radio 4 series The New Elizabethans follows up its profile of Graham Greene with one on Alfred Hitchcock (although listeners may be startled to hear the climatic scene on the Statue of Liberty in Saboteur attributed to Vertigo). You also can go here to see Hitchcock's appearance on What's My Line. In Search of Scotland: Buchan, McDermid, et al. University of Otago's "In Search of Scotland" online exhibition includes John Buchan, Arthur Conan Doyle, Val McDermid, and Robert Louis Stevenson's The Strange Case of Dr. Jekyll and Mr. Hyde. Hammett's Secret Agent X-9 on BBC Radio 4 Extra. This week, a dramatization of Secret Agent X-9—originally a comic-strip collaboration between Dashiell Hammett and artist Alex Raymond— airs on BBC Radio 4 Extra, starring Connie Booth. Episodes usually may be heard for up to a week after broadcast. In Continental Op news, Hammett's Red Harvest was selected as part of the Library of Congress' "Books That Shaped America" exhibition. The case of Alger Hiss on SpyCast. 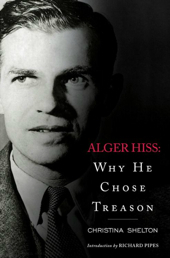 In this podcast from the International Spy Museum, Christina Shelton discusses her new book Alger Hiss: Why He Chose Treason about the former State Department official accused by Time senior editor Whittaker Chambers of spying for the Soviets. 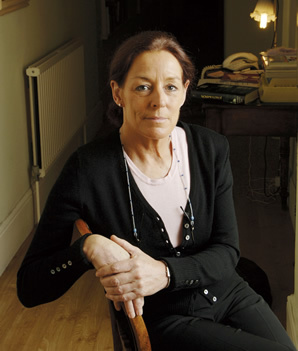 Frances Fyfield on aging; Graham Greene. • The series The New Elizabethans profiles Graham Greene. This week on The Alfred Hitchcock Hour. • "Captive Audience" (screenplay by Columbo's Richard Levinson and William Link): Audiotapes from a mystery author (James Mason) taunt his publisher—are they fictional tales or accounts of actual murder? • "I Saw the Whole Thing" (adapted from the novel Independent Witness by Henry Cecil; screenplay by Henry Slesar; dir. Alfred Hitchcock): Roshomon-like account of a mystery writer (John Forsythe) in court for the death by auto of a motorcyclist. • "Final Vow" (story by Henry Slesar; dir. Norman Lloyd): En route to a convent, a novice (Carol Lynley) loses a valuable statue and must travel through an unsavory world to recover it. Colin Dexter this week on BBC Radio 4 Extra. This week on BBC Radio 4 Extra, Colin Dexter reads his story "The Double Crossing," in which unexpected death poses problems for a vacationing couple and Detective Inspector Lewis. Episodes usually can be heard for up to a week after broadcast. Noir films online, the Public Domain Review. • Five Minutes to Live (1961): Johnny Cash is involved in a bank job; also features Ron Howard, Merle Travis, and Vic Tayback. • The Lodger (1927). Early film by Alfred Hitchcock of Marie Belloc Lowndes's work about a suspected Jack the Ripper. • Quicksand (1950): Mickey Rooney and Peter Lorre in a tale of theft that goes sour. • Scarlet Street (1945): In this Fritz Lang film, con artists Joan Bennett and Dan Duryea set their sights on cashier Edward G. Robinson. • Suddenly (1954): Frank Sinatra, hired to assassinate the president, takes a family hostage. 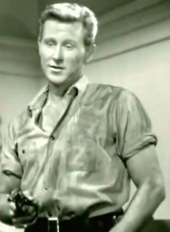 Also stars Sterling Hayden as a sheriff. What they're reading on the L.
Congress, Prints & Photographs Div. The Chicago Tribune has this cool rendering of what some commuters are reading by L stop. Some picks: On Writing and Night Shift by Stephen King; The Best Paranormal Crime Stories Ever Told ed. Martin H. Greenberg; The Devil in the White City by Erik Larson; and Tinker, Tailor, Soldier, Spy by John le Carre. Panel on DC-area mysteries today. Today I'm moderating a panel at noon at the American Women Writers National Museum in Washington, DC: "Mysterious Women Who Know Their Place" on DC-area mysteries, with Donna Andrews, Karna Small Bodman, Ellen Crosby, and Marcia Talley, and including some past authors who used DC locales. The mystery pulp past of Ray Bradbury. Glimpses of the 87th Precinct. Ed McBainamania: In addition to the clips above, see a promo for the 1961–62 87th Precinct series with Robert Lansing and Norman Fell here. I like the theme song. Bill Dana channels Don Adams and William Powell. In this clip from Emerson College, comedian Bill Dana does a quick take of Don Adams imitating William Powell's Thin Man. "I was greeted like cancer." 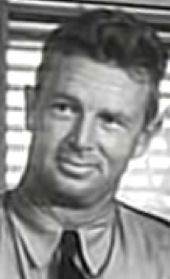 Writer-producer William Froug turned 90 last week, and the Archive of American Television is highlighting a 2011 interview with him, in which he discusses Rod Serling's sense of humor, Twilight Zone episodes "Nightmare at 20,000 Feet" and "An Occurrence at Owl Creek Bridge," writing detective novels and radio scripts, and other topics.